This includes gas, diesel and electric motors as well as including rigging and small and large fiberglass, plastic and epoxy repair.  If you have an issue with your boat we have the experience and know how to fix it. If it is beyond our abilities we are the first to tell you as the last thing we want to do is to spend our time and your money on services we aren’t practiced in. We are certified Awl-Grip applicator. 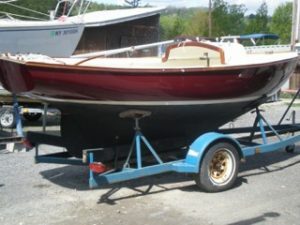 We have over 15 years experience and have painted over 100 boats. We’d be pleased to provide your boat with a face lift. 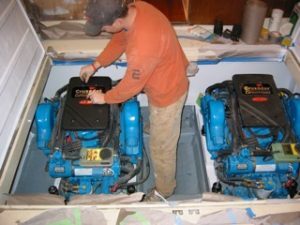 We service, repair and install all types of Engines including small diesels, IOs, inboards, and outboards. 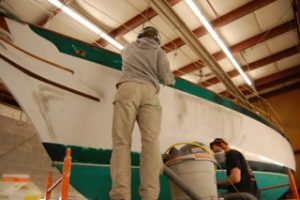 If your boat has been damaged or if age has caught up with it we can repair the fiberglass and make it new again. Our repairs are epoxy based. We have a well stocked rigging shop and can build any type of wire rigging including shrouds, stays, lifelines and roller furling. We also offer splicing services for running rigging. All of our electrical work is done under direction of Master Marine Electrician Paul Pytel, who holds an AYBA certificate and is an electrical engineer. Services include A/C-D/C wiring electronics, including depth, speed, wind, gas, etc. We maintain a well equipped wood shop. 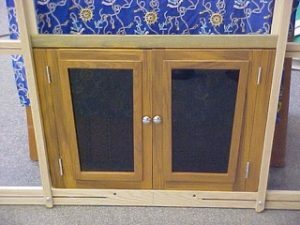 We make repairs as well as fabrications of new wooden products.